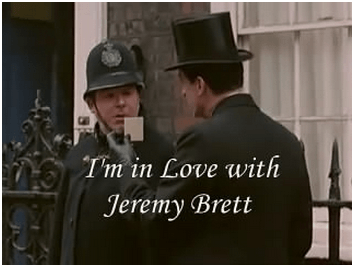 IN REMEMBRANCE OF JEREMY BRETT - Part 2. This writing is the second part of the article called In remembrance of Jeremy Brett. Though the actor passed away in 1995, it is rejoicing that he has so many fans. 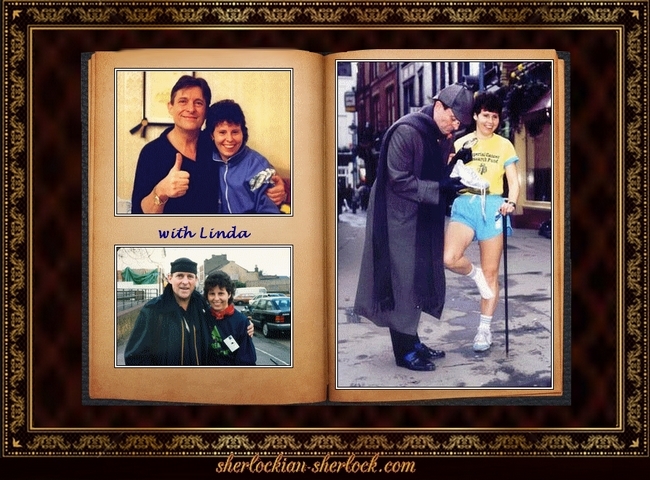 The adventures of his Sherlock Holmes gave and still give hope, salve or simply entertain lots of people. Hopefully we can pique the interest of the younger generations as well. In part 1 you could read the opinion of actors and other artists. (Part 1: In remembrance of Jeremy Brett ). Now we would like to show several examples of how Brett’s memory is treasured around the world (but just a taste of it, of course). The plaque was erected by Edward Hardwicke in 1995 with the inscription: „I lost a friend whom I regarded as the best and wisest man I have ever known.” ( These are the words of dr. Watson from The Final Problem. ) In Wyndham’s played Jeremy and Edward the twosome The Secret of Sherlock Holmes for years. After Brett’s death the play still was on the repertoire with a new cast, because it was immensely popular. On the 30th of March 2007, which was a Friday, fans of Jeremy Brett planted a tree in his honour in Clapham Common Park, near his home. Edward Hardwicke and David Burke took part in the ceremony. As Jeremy loved nature, it was a kind thing to do. In 2009 Congo issued a stamp remembering Jeremy Brett. This stamp is one piece of a series showing famous people. Other stamps were already in use with the character of Sherlock Holmes, and Brett is depicted as the great detective, this stamp has the name of Jeremy Brett on it. 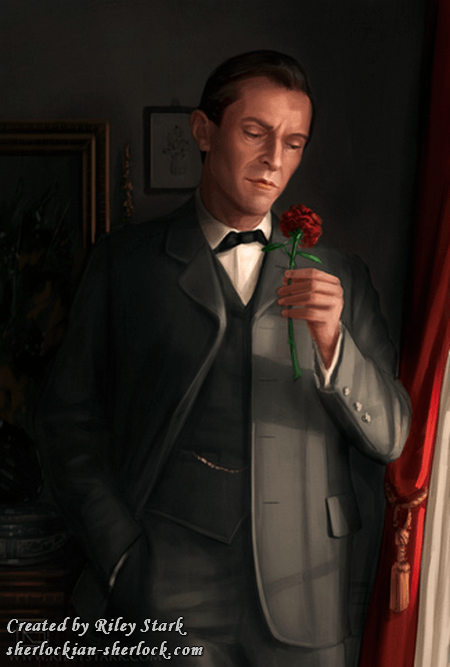 In the popular Sherlock Holmes PC games of Frogwares the detective was modelled after Jeremy Brett. Poi Dog Pondering is an American band which is at home in several music styles. Its leader, Frank Orrall is a kind and talented artist. SherlockExtra asked his permission to make a video for their song „Jeremy Brett”. Frank not only allowed this, but he liked the video so much that he put it to the website of the band. British band Silverlode paid homage to Jeremy Brett’s sleuth with a song too. Jeremy’s outstanding performance had never been acknowledged by a BAFTA award. His fellow actors and fans started a campaign to reward his talent posthumously. Their request was rejected with the reason that BAFTA rules do not allow posthumous rewarding. 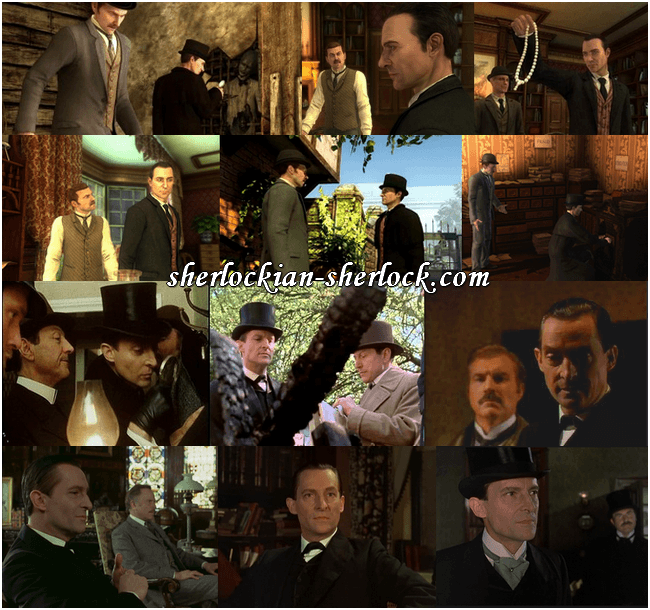 Talented fans of Jeremy Brett make numerous videos, sculptures, drawings and other artworks about him. We especially love the wonderful art of Riley Stark, who has been kind enough to allow us to use these on our site. Last but not least we have to mention the woman who treasures the memory of Brett with lots of love. 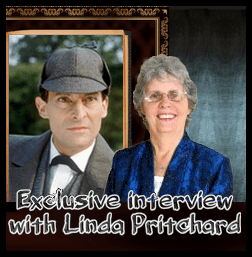 She is Linda Pritchard, who was his partner. She writes and publishes interesting books of high standard about him.